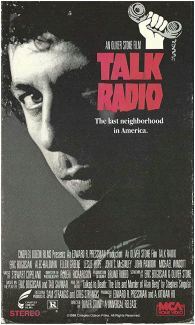 Based loosely on the life of the murdered talk-radio personality Alan Berg, TALK RADIO stars monologist Eric Bogosian as the abrasive, self-loathing talk-radio host Barry Champlain. 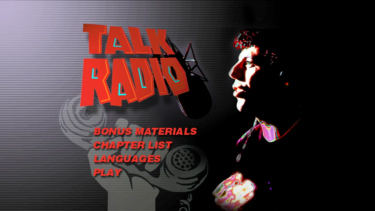 He spends his nights at Dallas station KGAB engaged in vitriolic conversations with a motley assortment of racists, anti-semites, rednecks, and all-purpose lunatics. 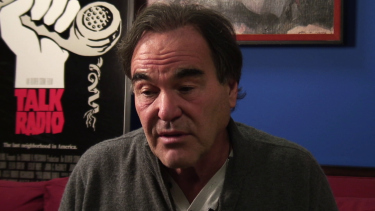 Just having learned that his show has a chance to be picked up for national syndication, Barry seems to have ratcheted up the abuse level to new heights, worrying his co-workers. Yet while Barry's career is taking off, studio boss Dan (Alec Baldwin) angers him by trying to alter the provocative content of his show. At the same time, Barry's having problems with his girlfriend and ex-wife, Ellen (Ellen Greene). 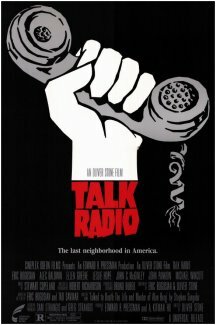 And a neo-Nazi group is making increasingly menacing calls, forcing him to the edge of a possible nervous breakdown. 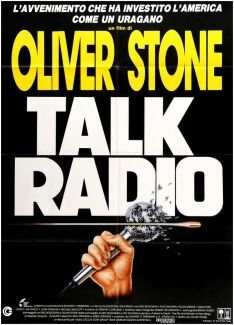 A compelling take on the dynamics of hate radio and the wages of narcissism, Oliver Stone's film is exceptionally well shot and acted, directed with claustrophobic concentration. 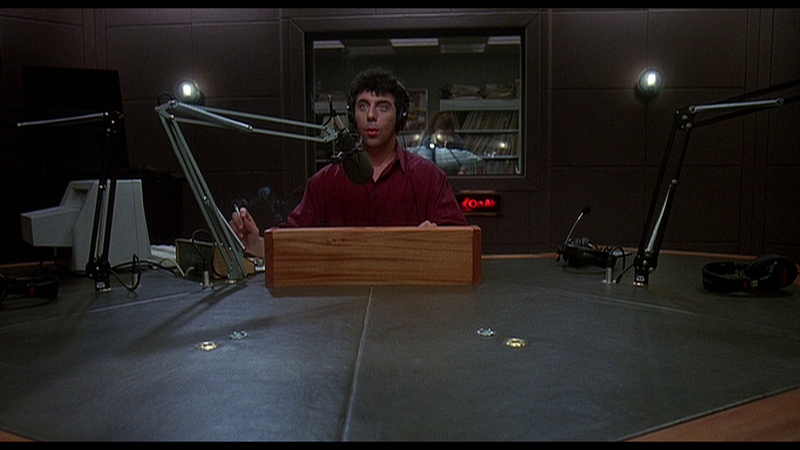 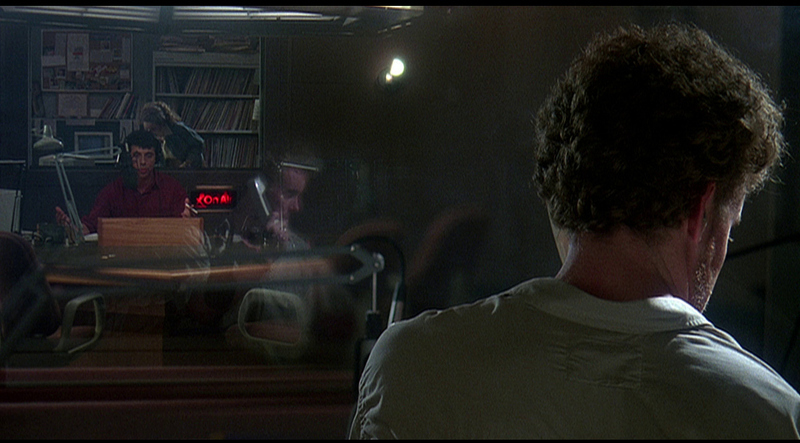 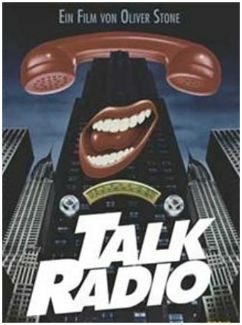 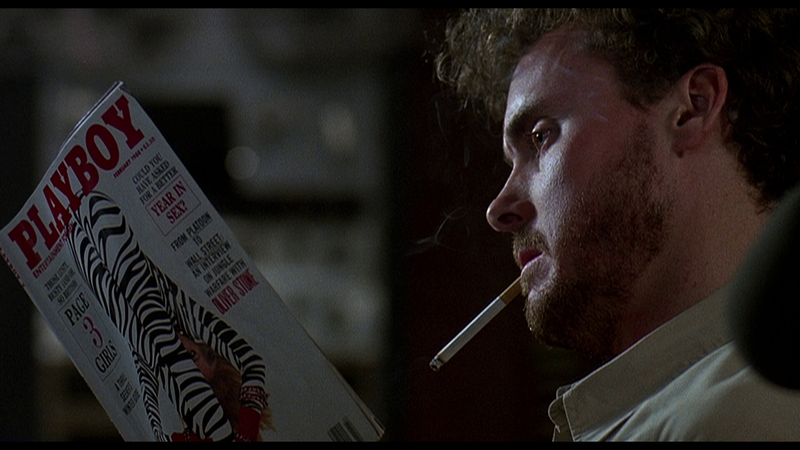 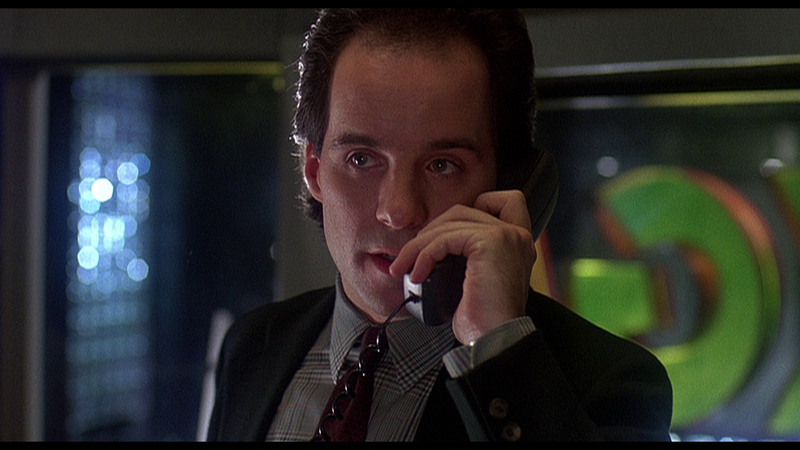 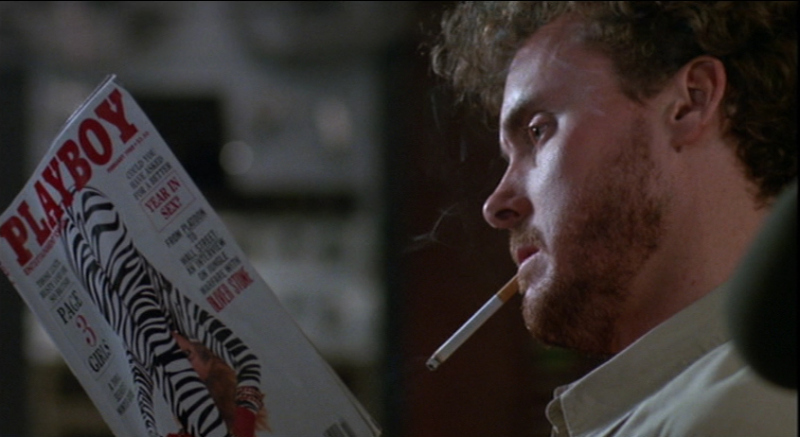 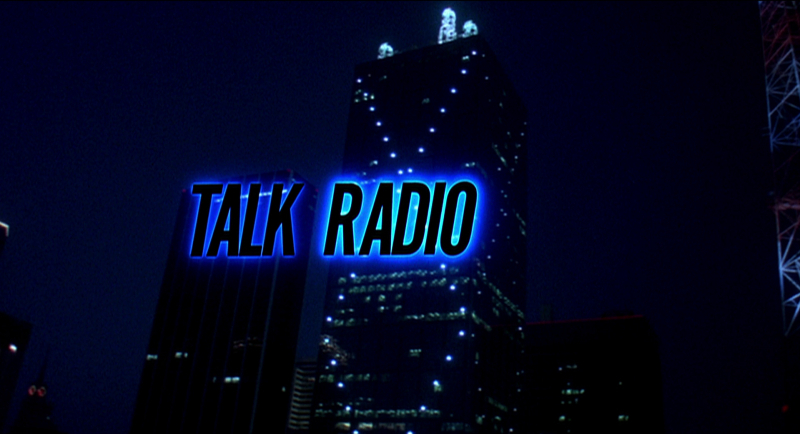 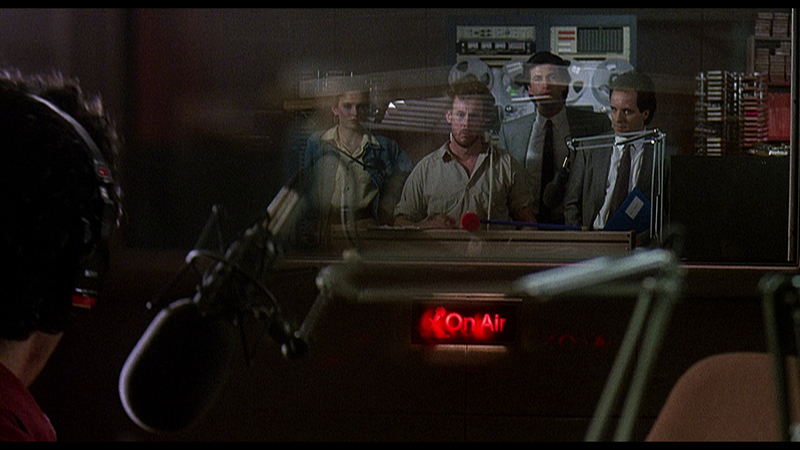 Twilight Time present Oliver Stone's 1988 "Talk Radio" on a dual-layered Blu-ray. 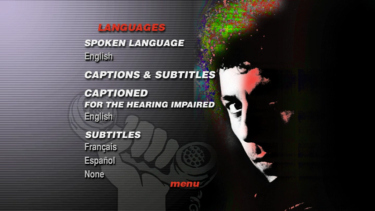 The 1.85:1 HD image is supported by a high bitrate. 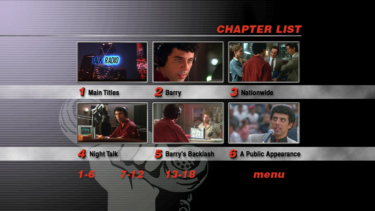 There is the expected boost in fine detail that is typical when making the jump from DVD to Blu-ray. 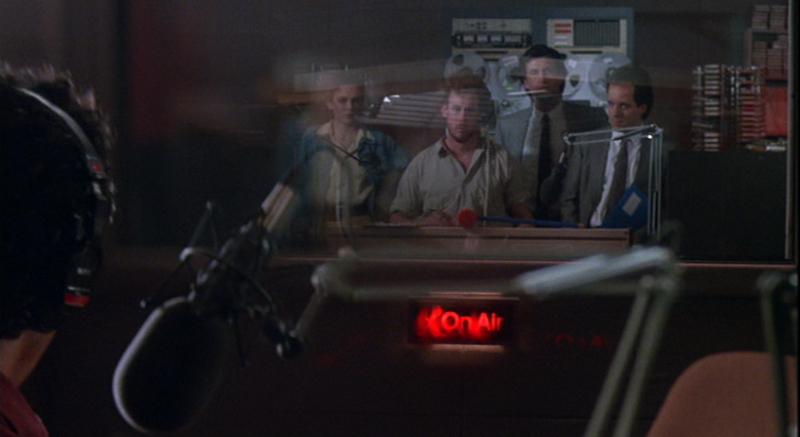 While having a slight orange and teal leaning palette on the HD (check out the upper left corner of the third capture), skin-tones still look warmer and more realistic. 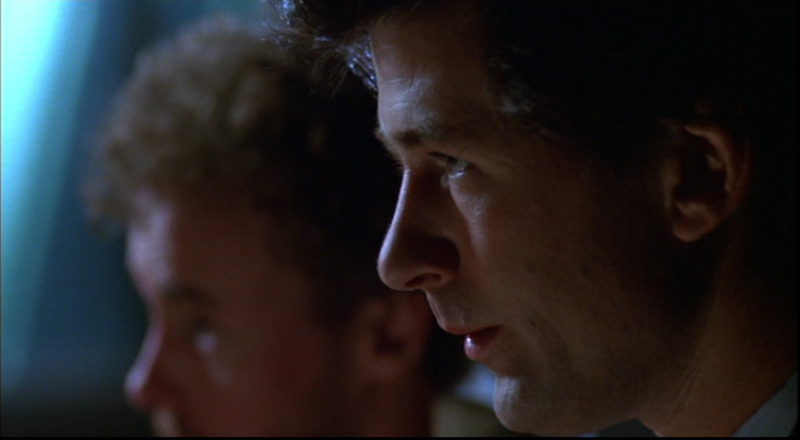 There is a thick grain to the film, and although there is that previously mentioned 1080p uptick in detail, but the film does a little fuzzy throughout, most likely due to the film stock used. 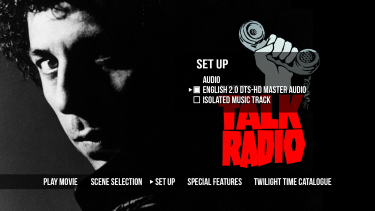 Twilight Time transfer "Talk Radio" with a 24-bit 2.0 DTS-HD Master audio track. 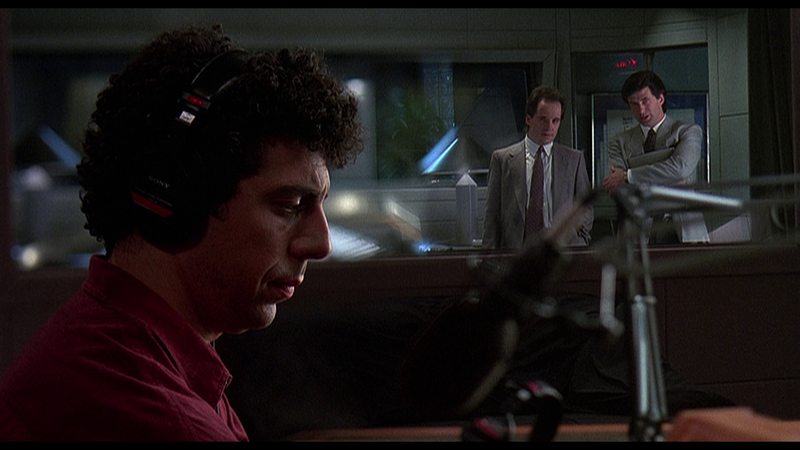 Dialogue is clear and discernible, which is key given that this entire film revolves around a voice. 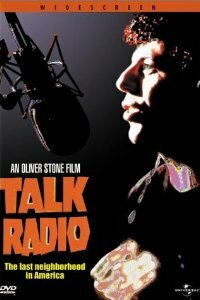 The score is care of Stewart Copeland (Hidden Agenda, Rumble Fish, Wall Street) and is available as a separate isolated track. 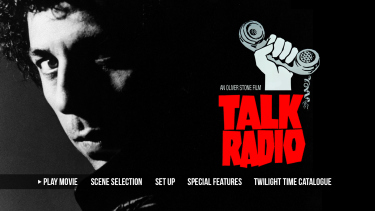 Sadly there are no subtitles offered on this Region Free Blu-ray from Twilight Time. 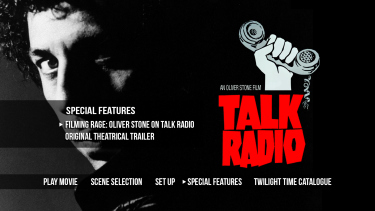 Aside from the aforementioned isolated music track, the main extra on this Blu-ray is the half-hour documentary, "Filming Rage: Oliver Stone on Talk Radio". 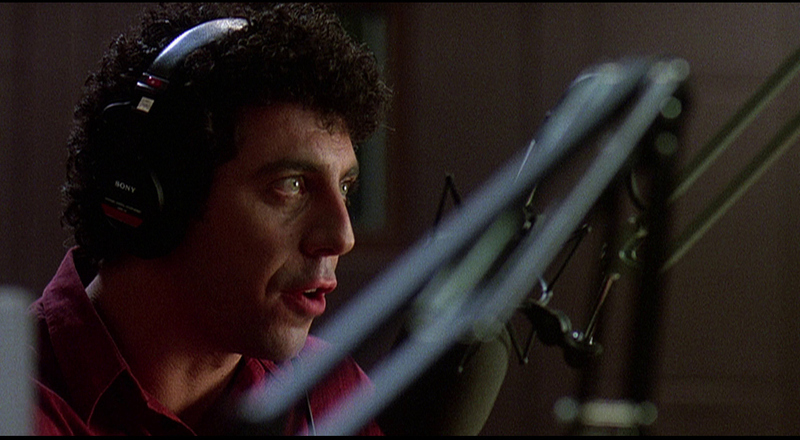 In this piece, Stone shares his thoughts on the film while praising the genius of co-writer and main actor Eric Bogosian, the fluid camera and brilliant lighting of D.P. 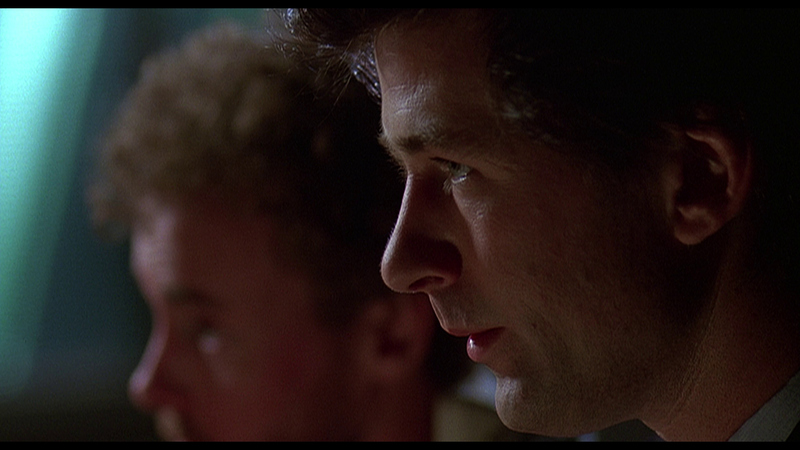 Robert Richardson. 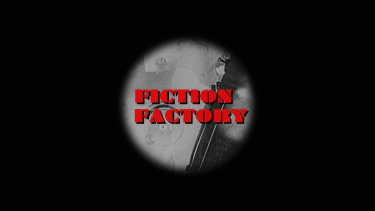 Also here is the film's original theatrical trailer. 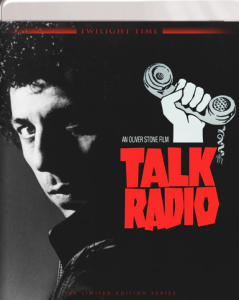 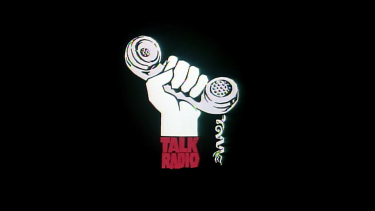 "Talk Radio" is a powerful adaptation of Eric Bogosian's play from Oliver Stone. 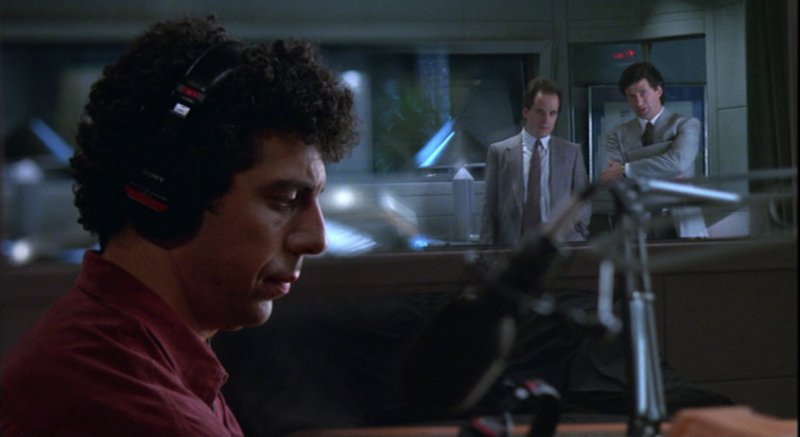 The film ratchets up the tension within the confined space, thanks to the impressive work of cinematographer Robert Richardson and editors, David Brenner and Joe Hutshing. 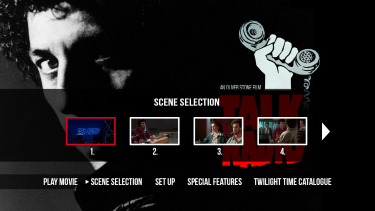 Twilight Time's Blu-ray transfer is a notable upgrade over the previously available DVD from almost 18-years ago.